Wood shingles, especially cedar shingles, can be a popular choice for the exterior of your home. With proper stain, they are long-lasting, weather and insect-resistant. You do have the option to paint shingles, but special preparation is needed. Wood absorbs paint faster than other surfaces and has to be specially primed. Even the best paint will soak into the wood without the proper base. Because shingles may weather differently, check to see if any are damaged and need to be replaced. Shingles also mildew rather quickly and should be cleaned thoroughly before painting. 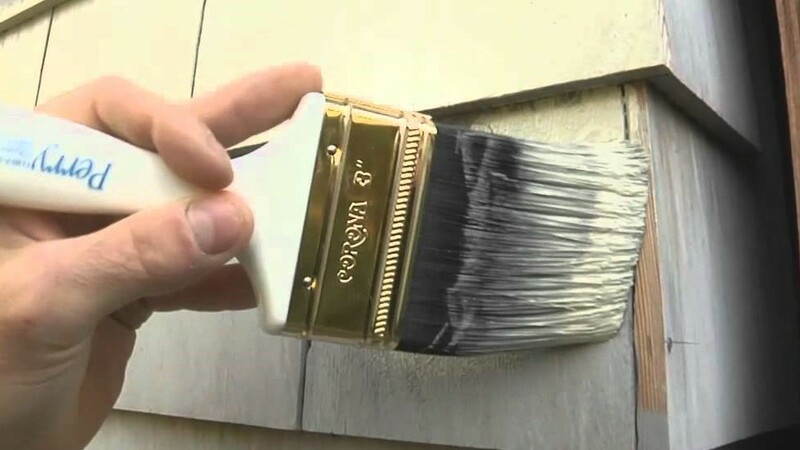 To prepare singles for painting, the shingles need to be washed to remove dirt and mildew. To clean wood shingles, a sponge, household bleach, and water are what’s called for. Using a solution of 1 part bleach to 3 parts water, apply the solution to mildewed areas with a sponge and leave for 15 minutes, then rinse thoroughly. Let the shingles dry and be aware that it can take up to two weeks for shingles to dry completely. When the shingles are dry, use a scrub brush to remove any old wood or dirt and brush the residue off with a wide paint brush. Next, apply a stain blocking primer with a four to six inch brush. Shingles need to be coated evenly. If you choose to use a sprayer, use even strokes moving in different directions for complete coverage. The final step is to paint. Acrylic latex exterior paint is a good choice and will last for many years. As with the primer, the paint should be applied in all directions and completely cover the shingles. Work in a limited area, approximately 20 feet square, and then move to the next section. University Painters are licensed, qualified, and knowledgeable about all types of finishes for the exterior of your home. We can work with you to create the look you want for your home. Contact us today at 1-800-390-4848 for an appointment.